LORNE PARK/ CLARKSON/ PORT CREDIT Area Teacher Available For Tutoring! 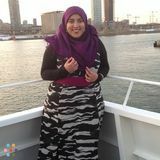 Want to connect with Amirah? I am available after school and weekends for private tutoring in the Lorne Park, Clarkson, and Port Credit areas. Please email me if you are in another area (in Mississauga/Oakville) and I will do my best to accomodate you. Rates are $40/hour for private instruction but can be discounted for multiple hours a week. I offer an individual program for the specific needs of your child and will provide suggestions for independent practice to increase confidence and mastery of concepts learned in the tutoring session and at school. I will also provide extra material if your child needs it.